Paul Harris Society recognizes Rotarians and friends of The Rotary Foundation who annually contribute $1,000 (or more) to the Annual Programs Fund, PolioPlus or the Humanitarian Grants Program. Joining the Paul Harris Society is a major commitment – not every Rotarian can donate at this level. 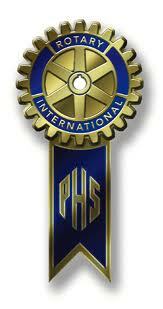 We ask each Rotarian who is able, to consider joining the Society. Please consider becoming a Paul Harris Society member today! Step 1: Download this brochure and complete form with contribution intentions on the brochure panel. Step 2: Place in an envelope and mail to one of the contacts listed below. Step 3: A District 5970 representative will contact you to set up payments.